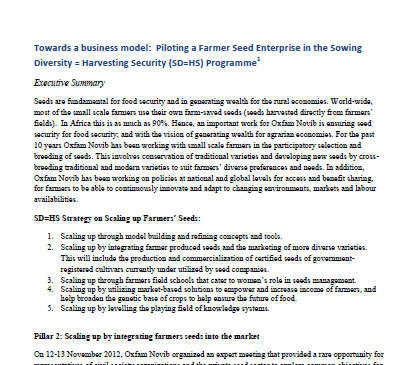 SD=HS works according to a participatory and empowering methodology that starts with what people know and need and that is driven by peoples deepest interests. 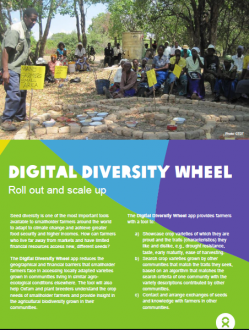 The Program recognizes that communities are socially differentiated. 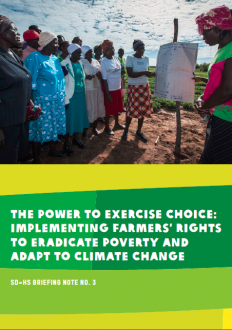 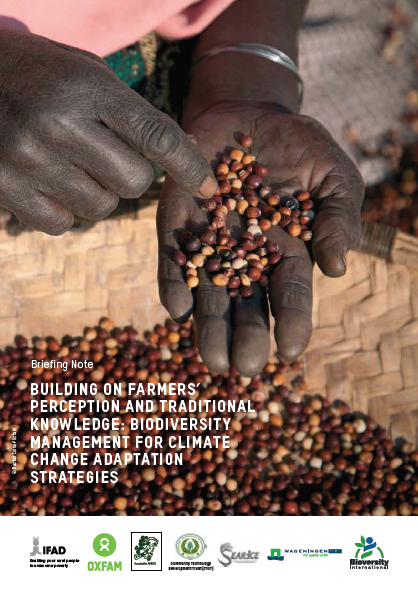 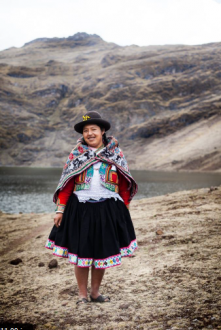 The participatory approaches and experiential learning allows indigenous people and smallholder farmers to identify and strengthen their coping strategies regarding climate change. 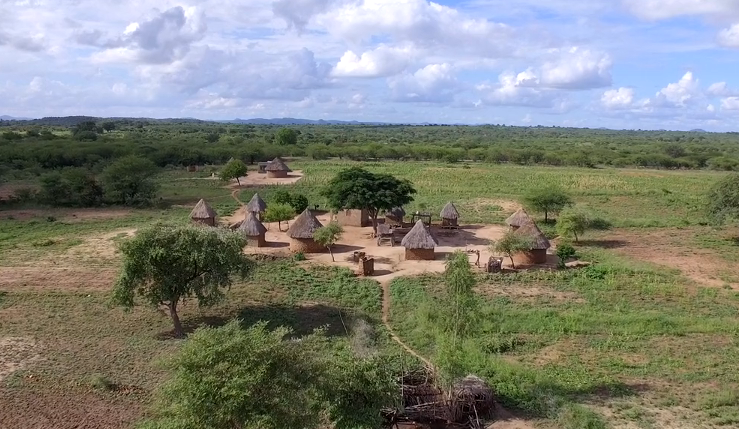 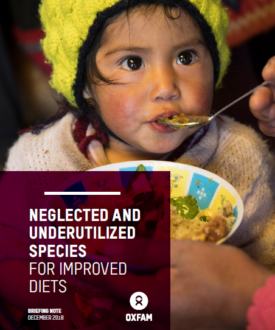 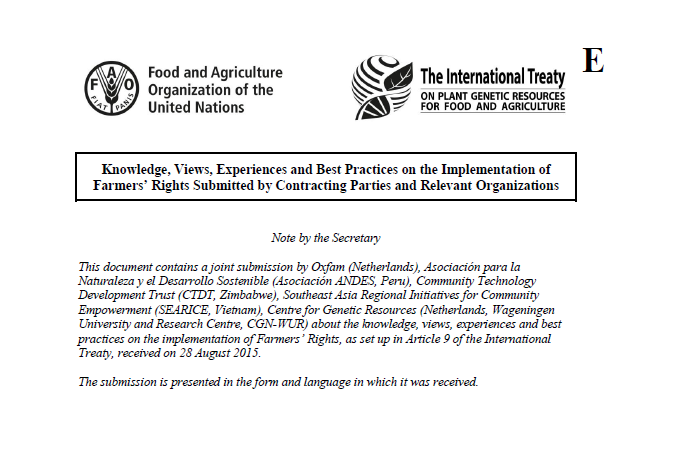 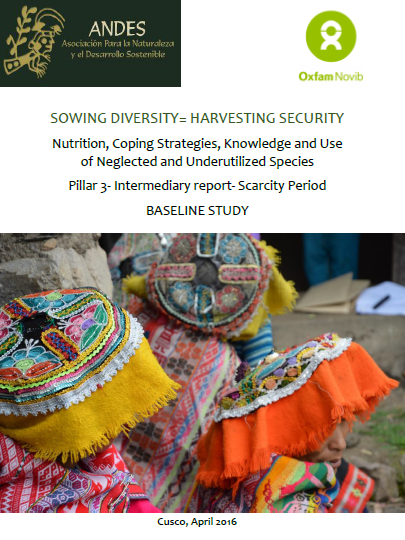 SD=HS resources are based on the strength and knowledge of indigenous peoples and smallholder farmers, bolstered by and assessed through scientifically robust frameworks. 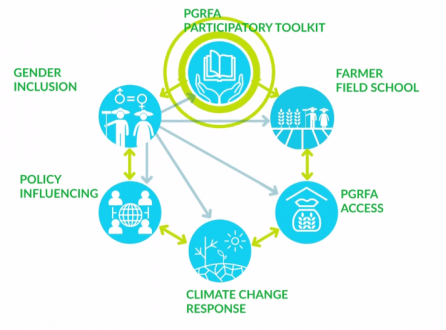 The tools are evaluated, improved and enriched by the use of communities. 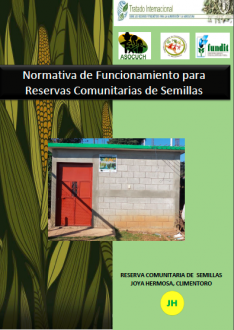 According to the objectives of the program, the resources are publicly available. 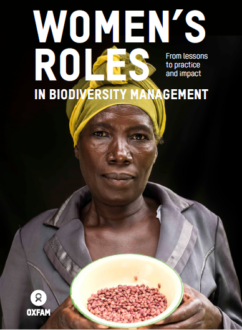 Women’s roles in biodiversity management. 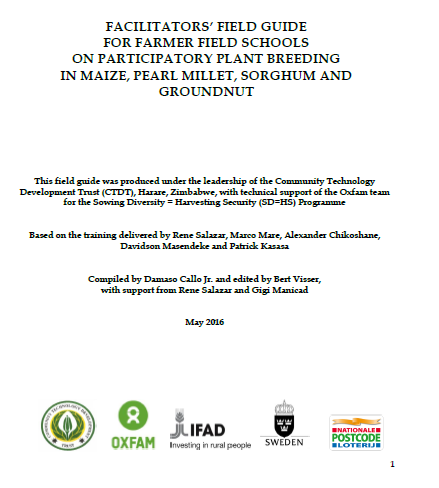 Case study report. 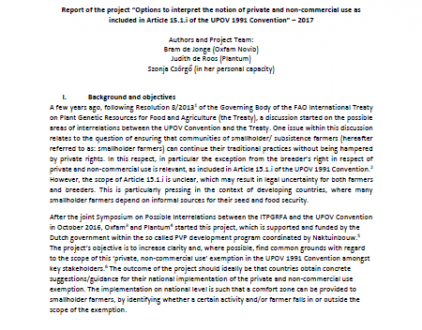 Final report on the project "Options to interpret the notion of private and non-commercial use as included in Article 15.1.i of the UPOV 1991 Convention". 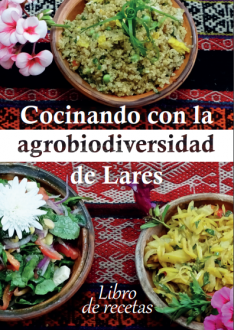 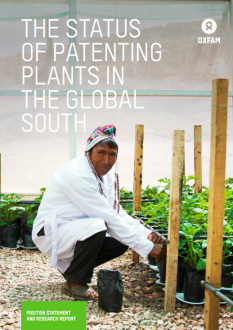 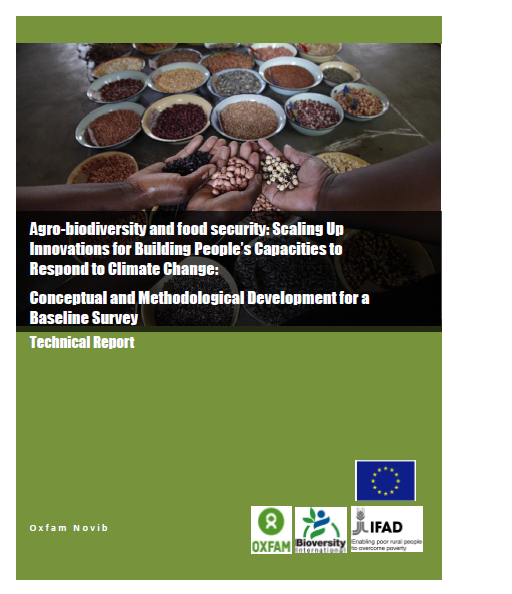 Please use the links to download the report in English, French or Spanish. 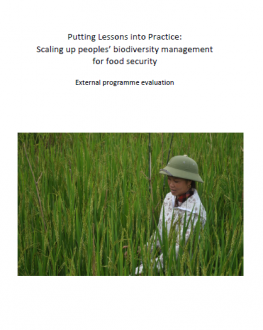 Download Annex 1-5. 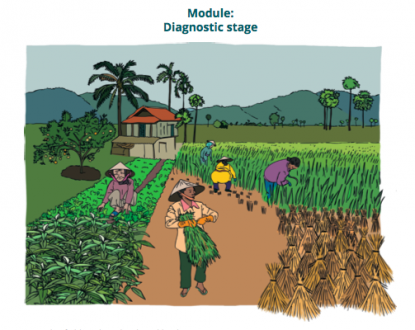 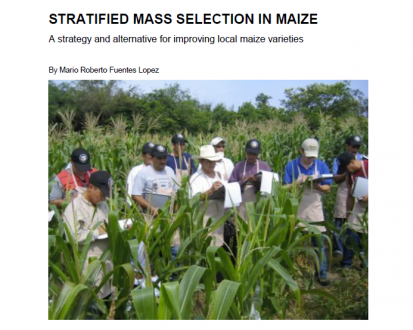 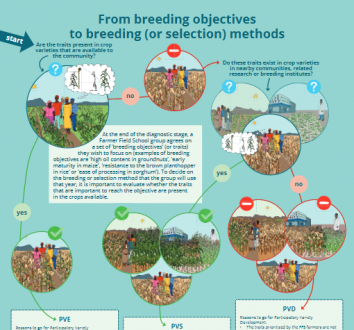 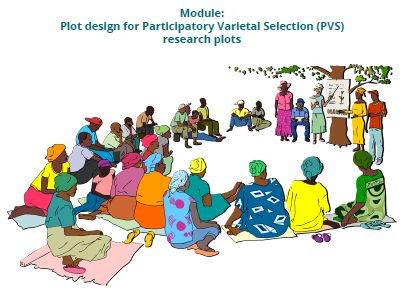 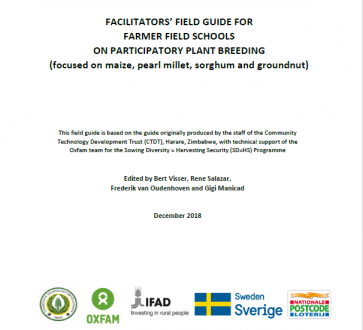 An illustrated and step-by-step manual for facilitator's to guide a Farmer Field School group through the process of plot design for Participatory Variety Selection. 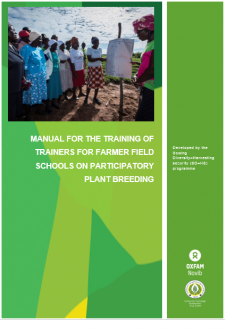 Download the manual here. 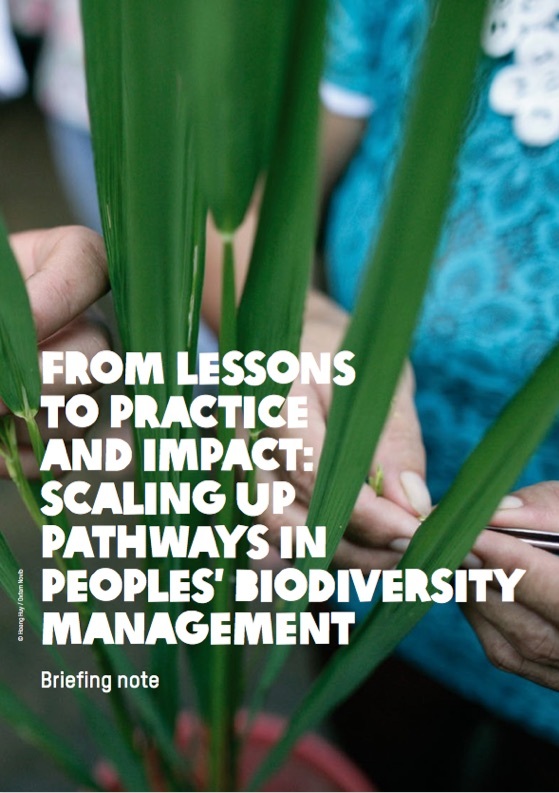 How do we scale up our work? 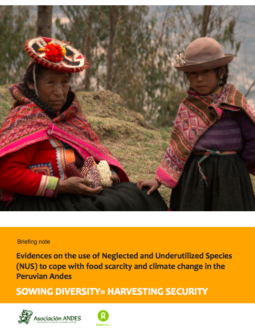 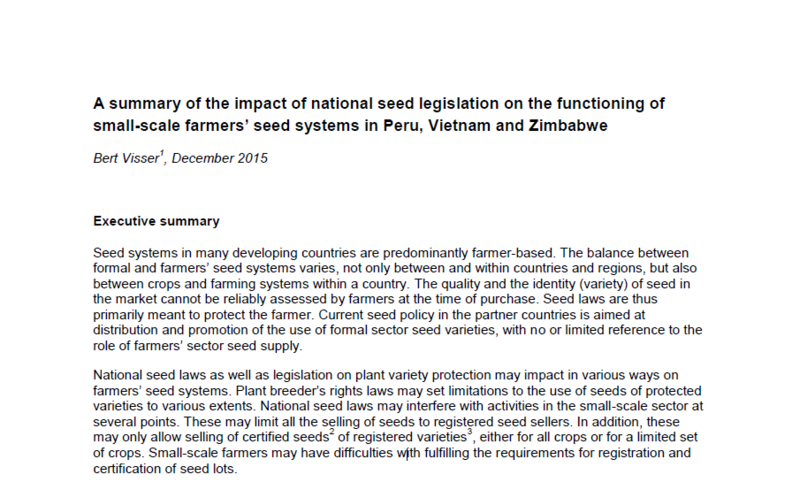 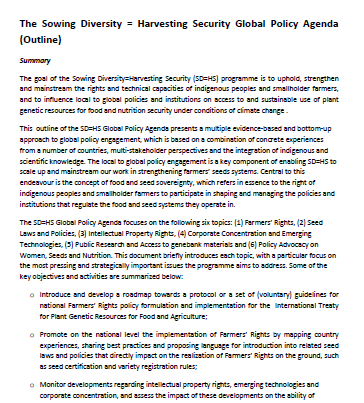 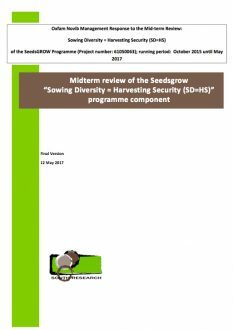 This document presents the results of the Mid Term Review (MTR) of the Sowing Diversity=Harvesting Security (SD=HS) program. 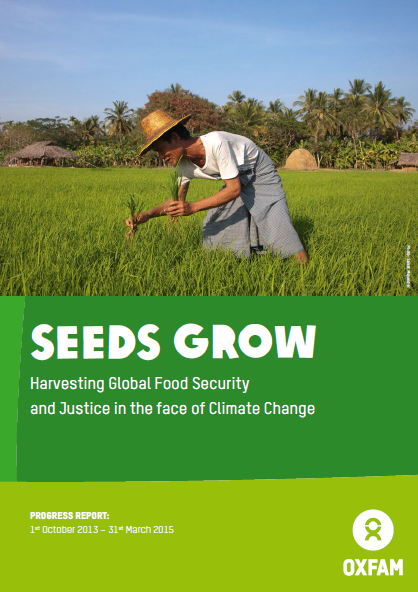 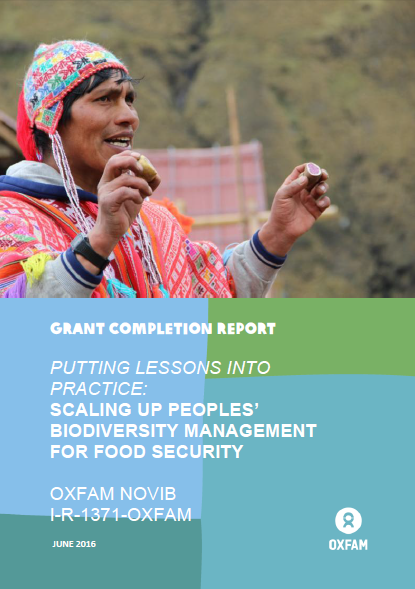 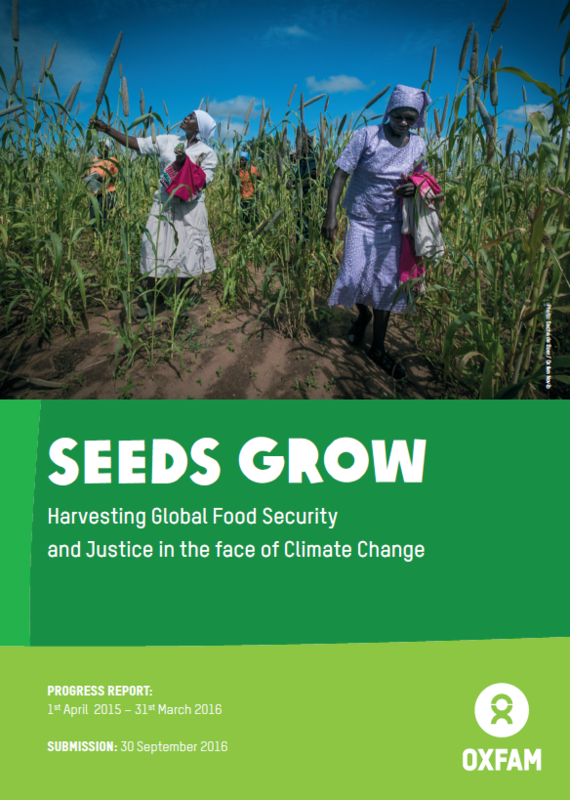 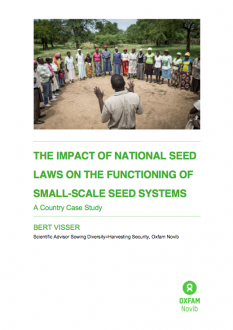 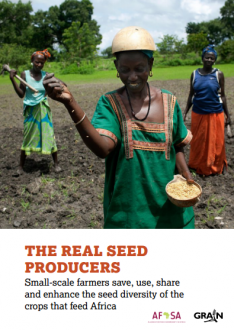 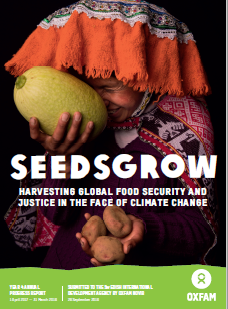 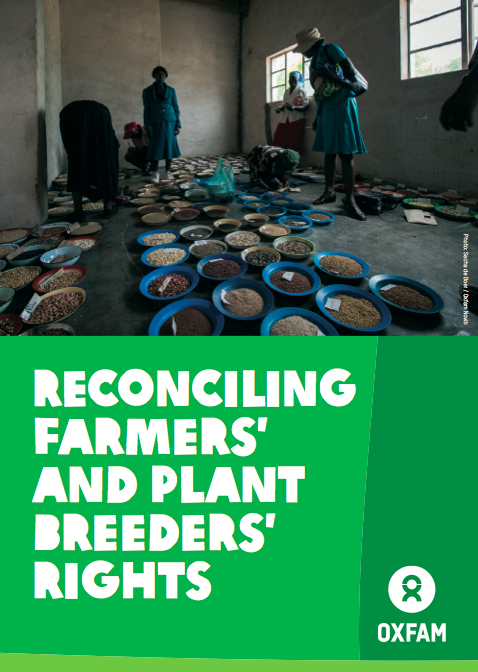 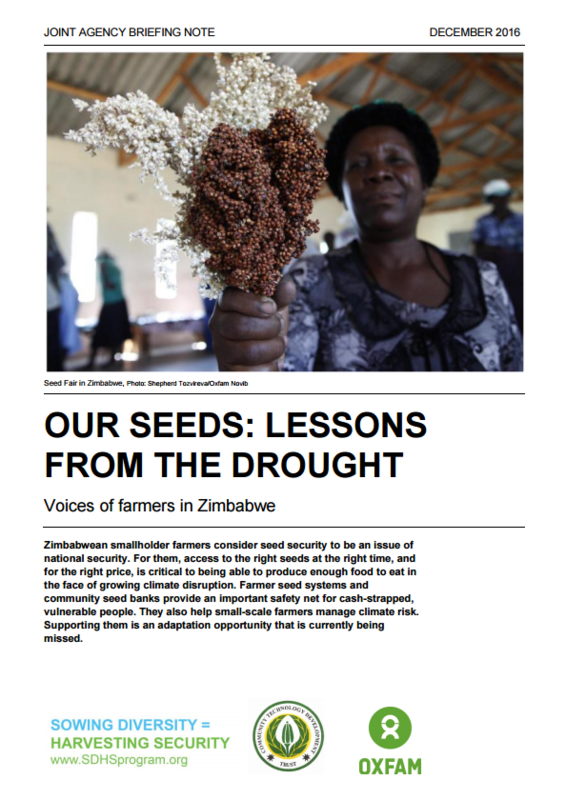 The report is preceded by a management response of the Oxfam Novib SeedsGROW Steering Committee (Arnold Galavazi, Corporate Director, and Gerard Steehouwer, Manager Thematic Units of Oxfam Novib). 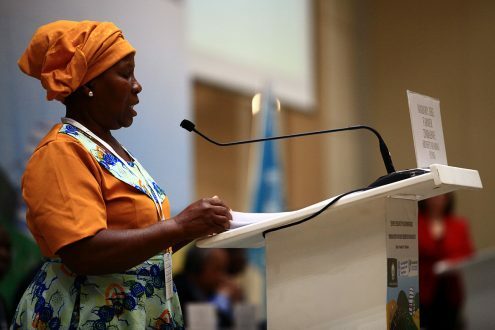 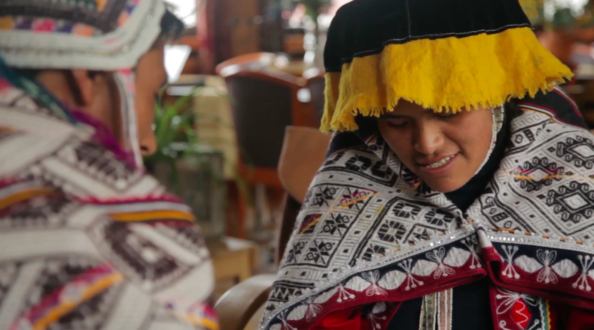 In this interview, SD=HS Program Leader Gigi Manicad explains the principles of Farmer Field Schools, the role of women as managers of biodiversity, and the way the program strengthens smallholder farmers to articulate their needs to influence policies. 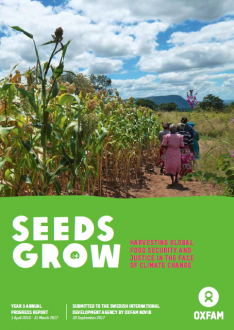 The third progress report presents results, achievements, challenges and financial updates from the period 1 April 2016 until 31 March 2017. 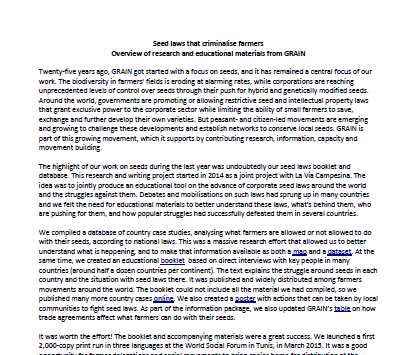 The document reports both on the SD=HS program and the GROW campaign. 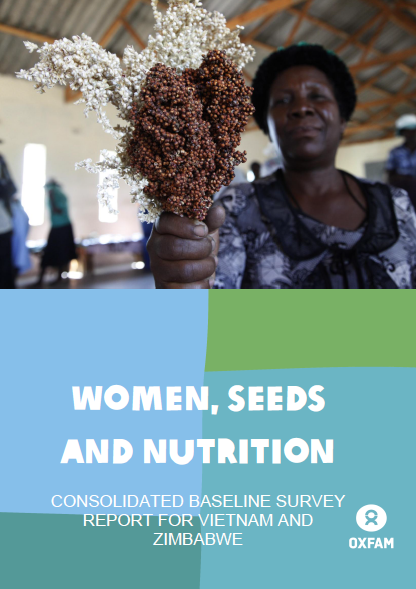 The second progress report presents results, achievements, challenges and financial updates from the period 1 April 2015 until 31 March 2016. 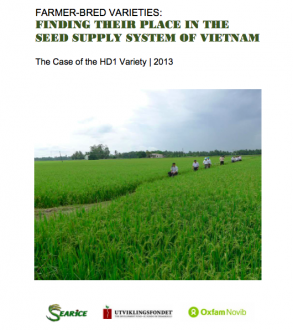 The document reports both on the SD=HS program and the GROW campaign. 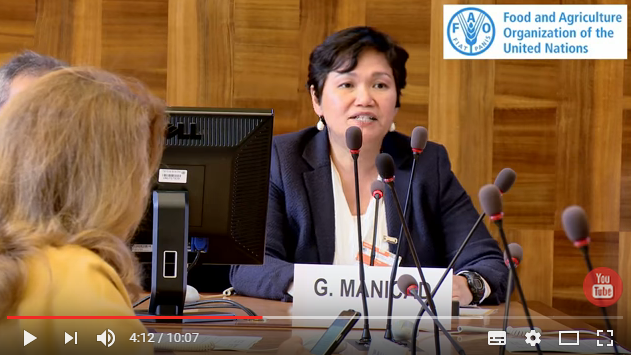 Message of Ms. Gigi Manicad, Senior program officer SD=HS for Oxfam Novib, recorded at the European side event titled “I Have a Seed"